Through his drawings, sculptures and installations, Durant explores the realms of pop culture, history and memoralization in order to question the values of American society. Political involvement is at the core of his practice, reflected in his interest in the various counter-culture manifestations and protest movements as well as in his examination of the socio-political aspects of art. The exhibition consists in two parts: the Abolition installation and three pieces from the Lightbox series. Sam Durant illustrates his indictment of the death penalty through this installation of reduced scale models of historically significant gallows retracing the history of death by hanging. By confronting the viewer with these objects, Durant seeks to highlight a current social problem, which he places in its proper perspective through an historical approach. The gallows are mounted on mirrors that reflect the underside of the models and create a confusion of reflections. Durant has used mirror in his work in different ways for decades. Clear hommage to Robert Smithson, here the mirror is used to suggest another side or alternative view and to encourage self-reflection around the issues taken up in the works. This body of sculpture is completed by a series of drawings in which the artist inventories the various methods of execution, associating them to statistical data on incarceration and the death penalty. This works as a sort of reference index, retracing the thoughts and associations in the artist’s mind during the elaboration of his project. 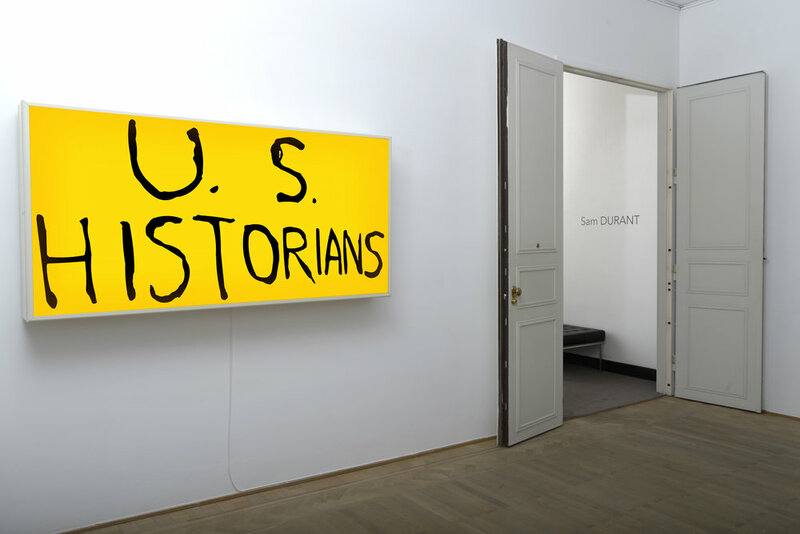 For several years, Durant has used archival photographs of protests around the world as source material for both drawings and text-based pieces rendered as large-scale light boxes. 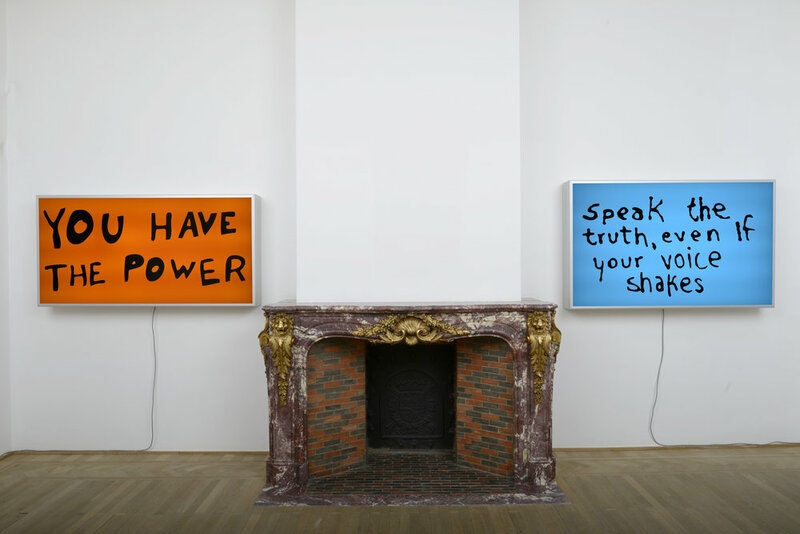 By isolating the message articulated by the protester and putting it into a format typically used for commercial signage, the artist poses questions about the role of language and how meaning is constructed. The exhibition presents three lightboxes whose messages find their origins in more or less recent events, investigating social, historical, and political issues. U.S. Historians was originally handwritten on a sign and carried during a Freedom March from Selma to Montgomery, AL in 1965. 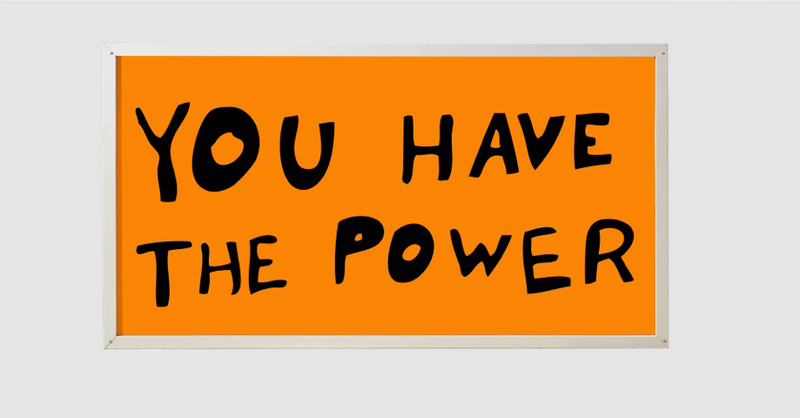 You Have The Power comes from a sign seen in October 2014 during a demonstration in St Louis, MO following the killings of 18-year-old Michael Brown by a police officer in suburban Ferguson and another teenager, Vonderrit Myers Jr., by a St. Louis police officer. 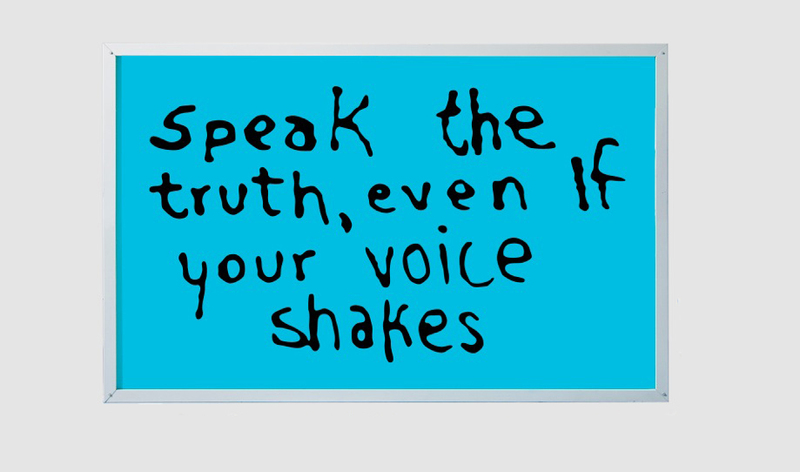 Speak The Truth Even If Your Voice Shakes was originally sprayed on an abandonned house in Hilltop suburbs, Columbus, OH in 2015.